Will Rangers need to Pay Charles Green’s Legal Fees? 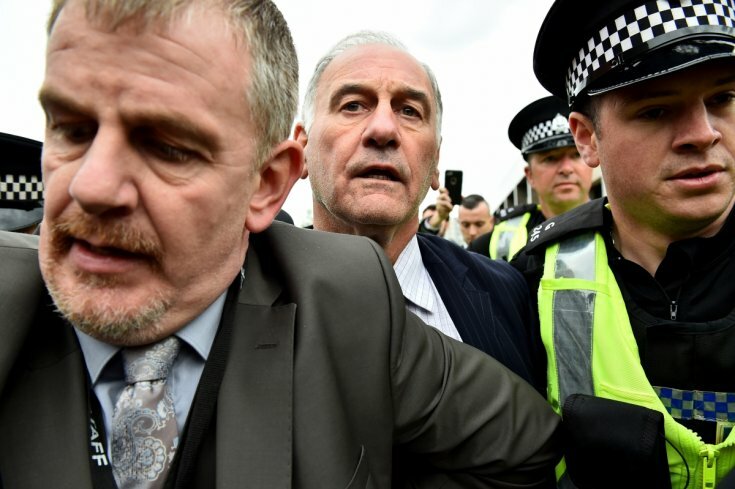 Charles Green, the former chief executive of Rangers, is now making a claim that the club is legally obliged to pay his legal fees accrued in connection with criminal charges he is currently facing. The club's chairman, Dave King has made clear that the claim will be "strongly resisted", so who will be required to foot the bill? Today at Unlock the Law we take a look at the factors that may be taken into consideration in determining who is liable for the legal costs. Earlier this month the charges being brought against former Rangers owner Craig Whyte alongside executive Charles Green and others were detailed following an investigation into the allegedly fraudulent takeover of the club that occurred in 2012. Craig Whyte purchased the football club for only £1 in 2011 and only a year later the club went into administration. A number of people led by Charles Green subsequently purchased the clubs assets. Green was the frontman of fronted the Sevco consortium to purchase the assets of Rangers by virtue of a a £5.5 million loan in June 2012 as the club plunged into liquidation. The charges the men face include fraud, conspiracy to defraud, attempting to pervert the course of justice and involvement in organised crime. Why Should the Club Pay Green's Legal Fees? Green claims that Rangers are liable for his legal fees on the ground of a contract made whilst he was still with them. Mr Green has stated that his contract of employment entitles him to legal cover both during his time at the club as well as after he had stepped down. Dave King on the other hand has stated that Green approached the club following his arrest in connection with the Sevco acquisition of club assets in 2012 and demanded that the club meet the bill for his legal costs. Green claimed that this was "in respect of his co-operation with Police Scotland in its criminal investigation into his time as an officer of the club". King claims that he has told Mr Green the club will not be paying his legal costs, and that Greens claim will be "strongly resisted". Mr Green has now approached the court to compel the club to pay up for his legal costs- expected to be more than £500,000. It is difficult to say how the court is likely to respond to Mr Green's claim. On the one hand, if legal fees in relation to any legal issue arising in connection with his duties whilst at the club, formed part of his contract of employment, the court may decide to compel the club to pay Green's legal fees. However, this will depend on the terms of this agreement and also whether Green is convicted of being involved in criminal activity. Any contract which promises to cover expenses of criminal activity will be void and unenforceable, meaning that he will not be able to rely on the clause to claim his legal fees from the club. Furthermore, certain action such as leaving the club may also make the contract unenforceable - the decision will very much turn on the courts reading of the contract, and the detailed facts of the case.